Lucy P. Lass, 90 of Taylorville passed away on Tuesday, August 30, 2016 at 4:05 a.m. at Taylorville Care Center in Taylorville. She was born on October 3, 1925 in Mapelton, MA the Daughter of Kenneth and Ada (Green) Ferguson. She married Rev. John E. Lass on October 31, 1942 in Presque Isle, MA and he later preceded her in death on November 14, 2003. She worked as a Telegrapher for C&IM railroad. Surviving are her Son: David J. (Linda Anne) Lass of Taylorville, IL; Daughter: Janie M. Farmer of Chatham, IL; Grandchildren: Regan A. Mansfield of Springfield, IL, Anthony W. Moenck of Champaign, IL, Kaitlan N. Moenck of Springfield, IL, Hunter L. Moenck Rydge A. Moenck both of Springfield, IL and Zali Farmer of Chatham, IL; Michelle L. McMillan of Ooltewah, TN; David J. Lass Jr. of Gloucester, VA; Anne M. Harrison of Trenton, MI; Heather D. Ladage and Brian M. Harrison both of Taylorville; Great-Grandchildren: Shelby and Jacob McMillan, Chealsea, Chasity and Alyssa Lass; Carter and Bryson Moenck, Kaleigh and Karli Harrison and Zander Frye; Several Nieces, Nephews and Cousins. She was preceded in death by her parents, Husband, Sisters Thora and Barbara, Brother Reggie. Graveside services will be held on Friday, September 2, 2016 at 1:30 p.m. at Oak Hill Cemetery in Taylorville, IL with Pastor Stan Pratt officiating. Helen Mary Thomas-Bankey, 91 of Verbena, Al, passed away on May 19, 2016 at her home. She was born on January 11, 1925 in Tovey, IL the daughter of Douglas and Helen Foltynewicz McWinnie. She married Billy J. Thomas on July 29, 1944 and he later preceded her in death in 1983. Helen then married Arnold Bankey in 1994 and he also preceded her in death in 1995. She is survived by her daughter: Barbara Wood of Verbena, Sons: Edward W. (Ann) Thomas of Taylorville, IL; Paul (Cindy) Thomas of Verbena; Six Grandchildren; Eight Great-Grandchildren and Three Great-Great-Grandchildren. She was preceded in death by her parents, three brothers Daniel, Lawrence and Douglas McWhinnie, Daughter: Marie Elaine Thomas; Son Roger Kenneth Thomas; Grandchild Thomas Ross Farichild and her husband’s Billy J. Thomas and Arnold O. Bankey. A Memorial Service will be held on Thursday, September 1, 2016 at 10:00 a.m. at Kincaid Church of God in Kincaid, IL with Pastor Jacob Skelton officiating. Inurnment will be held at Glen Haven Memorial Gardens in Taylorville immediately following the memorial service. Gary Lynn Cooper, 62 of Taylorville passed away at 10:05pm on Friday, August 26, 2016 at his daughter’s home. He was born on April 23, 1954 in Taylorville, the son of Leonard and Margie (Jackson) Cooper. Gary worked as a coalminer at Peabody mine #10. In his spare time, he enjoyed cooking and singing. Gary is survived by his mother: Margie Bough of Taylorville; daughter: Keri Cooper of Taylorville; son: Nathan Cooper of Taylorville; grandchildren: Gavin Cooper and Dominick Cooper; step-children: Amy Thompson, Melody Presnell, and Jim Beechler; step-grandchildren: Trevor Beechler, Mallory Beechler, Quinn Beechler, Arianna Presnell, Kaden Presnell, Maizie Presnell, Brinlee Presnell, Izabella Kail, Damari Thompson, and Malyiah Thompson; half-sister: Delores Kiernan of Arizona; step-sister: Pam McCarty of Taylorville; and former wife: Ruthie Cooper of Taylorville. He was preceded in death by his father: Leonard Cooper; step-father: Frank Bough; brother: Johnny Cooper; step-brother: Ralph Bough; and step-sister: Shelia Mitsdarffer. 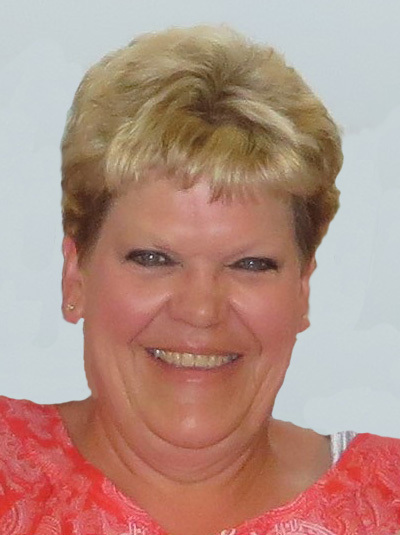 Kimberly Sue Gonzalez-Beeson “Kim Beeson”, 55, of Springfield, IL formerly of Lincoln, Pana and Taylorville, IL passed away Wednesday, August 24, 2016 at Memorial Medical Center, Springfield, IL. Kim was born in Lincoln, IL August 2, 1961. Her father was David Joseph Gonzalez. She graduated from Lincoln Community High School and earned a Bachelors’ Degree in Psychology from the University of Illinois Springfield. Ms. Gonzalez married Mr. Kevin Beeson September 5, 1988 in Taylorville, IL. 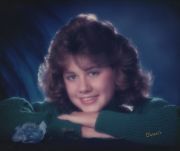 Kim was a member of Koke Mill Christian Church, Springfield. She worked for 16 years as the Assistant to the Dean of the College of Liberal Arts and Sciences at the University of Illinois Springfield. Kim loved; trivia, cats, traveling, beaches, rock formations at the various places she traveled, crocheting and most of all spending time with her family and friends. Surviving are her husband Kevin Beeson of Springfield, IL., a son Andrew (wife Abigail) Nicol of Springfield, IL 2 sisters Becky (husband Mark) Kleinman and Lisa (companion Travis Hassebrock) Rippon all of Lincoln, IL her grand dog “Chip” several aunts, cousins, nieces, nephews, a great niece and a great nephew, along with many friends. She was preceded in death by her father, grandparents, a brother Andrew, a sister Carol Ann, her mother in law Sandy Beeson and brother in law Tom Rippon. A memorial service will be held at 12 noon Saturday, August 27, 2016 at Koke Mill Christian Church 475 S. Koke Mill Rd, Springfield, IL 62711. Pastor Stan Summers will officiate. Visitation for Mrs. Beeson will be held from 10:00am until service time at the church. Masterson Funeral Home in Kincaid is assisting her family with arrangements. 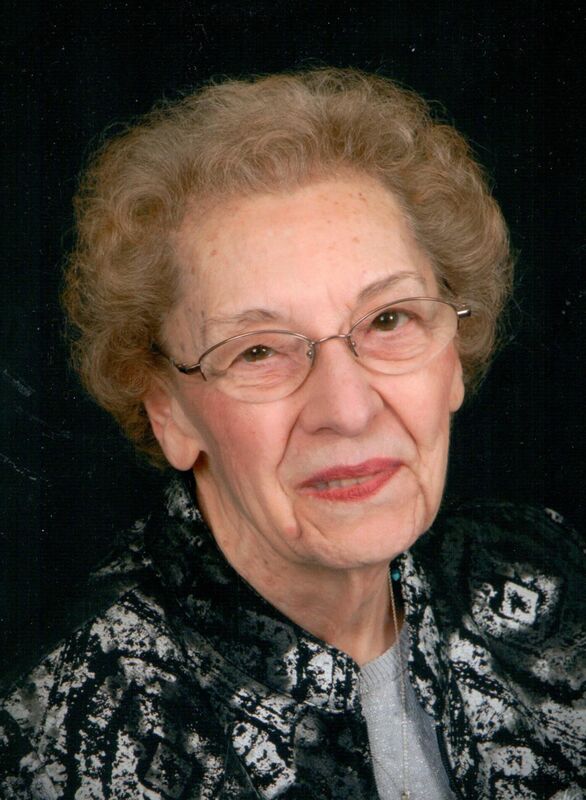 Alberta A. Delahunt, 77, of Taylorville, died at 2:22 a.m., Wednesday, August 24, 2016 at Memorial Medical Center in Springfield, with her family by her side. Alberta was born on September 22, 1938 in Palmer, Illinois, the daughter of Harold and Ruth (Oller) Skinner. She married Charles Delahunt on September 3, 1955 in Taylorville, and he survives. Alberta was a home maker for most of her life, and dearly enjoyed raising her children. She worked as a Nurse’s Aide at Meadow Manor and Taylorville Care Center, and also in the restaurant at North Lanes Bowling Alley. In her spare time, she truly enjoyed spending time with her family, reading, and doing crafts. She attended First Baptist Church in Morrisonville. Along with her husband Charles, Alberta is survived by her children: Gene (Cynthia) Delahunt of Little Rock, AR; Deborah (fiancé, Jim) Weber of Columbia, IL; Carol (Chris) Gardner of Decatur; Catherine (Rick) White of Taylorville; Karen (Joe) Riggs of Decatur; Betty (Brett) Rahar of Taylorville; Peggy Gesell of Taylorville; 20 grandchildren; 41 great grandchildren; 7 siblings: Larry Skinner, James Skinner, Donald Skinner, Sheila Skinner, Mary Grandfield, Sue Hendricks, and Clarissa Hirtman; numerous nieces and nephews; great nieces and nephews; and cousins. Alberta was preceded in death by her parents; son, John Delahunt; and siblings: Ruby Helms, Bill Skinner, Esther Woodkirk, Earl Skinner, Betty Skinner, Sherman Skinner, Brenda Skinner, and Clifford Skinner. Visitation will be held from 5:00 – 7:00 p.m., Friday, August 26, 2016 at McClure Funeral Home. Funeral service will be 10:00 a.m., Saturday, August 27. Burial will take place at Nokomis Cemetery, Nokomis. Reverend Chad Foster will officiate. Memorials may be made in her memory to the Taylorville Public Library, 121 W. Vine Street. McClure Funeral Home & Cremation Services is in charge of arrangements. Memories of Alberta or condolences to her family may be sent online at www.mcclurefuneralhome.com. 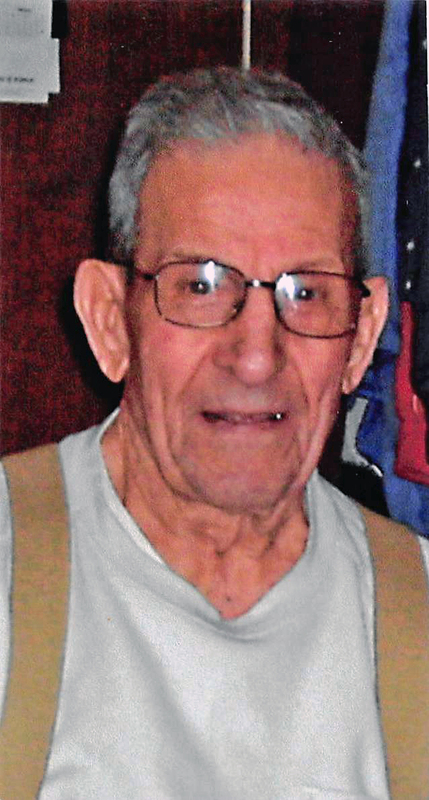 James Andrighetti, 92 of Taylorville passed away on Monday, August 22, 2016 at 6:24 a.m. at Memorial Medical Center in Springfield. He was born on February 13, 1924 in Kincaid, IL the Son of Angelo and Celestina Madelina (Sebben) Andrighetti. He married Greta Guerrini on February 24, 1951 in Kincaid, IL. He was a retired pressman at Sangamon Card Company. Jim loved vegetable gardening, and visiting with his family. He served in the U.S. Navy during WWII. Surviving are his Wife: Greta of Taylorville, IL; Daughter: Sandra Andrighetti of Springfield, IL; Sisters: Antonia Verardi of Langleyville, IL; Several Nieces, Nephews and Cousins. He was preceded in death by his Parents, Sisters: Angelina Daros, Catherine Sparling and Mary Borio. Visitation will be held on Friday, August 26, 2016 from 9:00-11:00 a.m. at Sutton Memorial Home in Taylorville. Funeral Services will follow at 11:00 a.m. at Sutton Memorial Home in Taylorville, with Deacon Jim Baxter officiating. Burial will be held in Oak Hill Cemetery in Taylorville with military graveside honors. Thomas Edward Drnjevic, 65, of Springfield, died at 10:25 a.m., Tuesday, August 16, 2016 at Meadow Manor in Taylorville. Tom was born on October 15, 1950 in Taylorville, Illinois, the son of Atone and Geraldine (Lucas) Drnjevic. He served his country proudly for 4 years in the United States Air Force. After his service, he worked as a Chief Fraud Inspector for the State of Illinois in the Unemployment sector for many years. Tom was a member of Disabled American Veterans. Tom is survived by his mother, Geraldine Drnjevic; his brother, Mike Drnjevic; nephews: Brian (Robin) Drnjevic, Travis (Mandy) Drnjevic; and his niece: Nicki (Scott) Vopi. 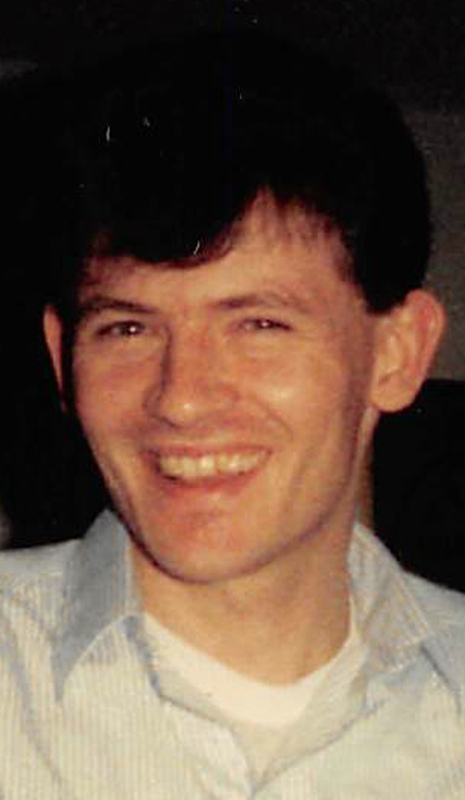 Tom was preceded in death by his father and his sister, Terry Ann Burke. A memorial service will be held at 10:00 a.m., Wednesday, August 24, 2016 at Camp Butler National Cemetery, Springfield. Military rites will be provided by the Sangamon County Inter-Veterans Burial Detail and the Air Force Honor Guard. Inurnment will follow military rites. Memories of Tom or condolences to his family may be sent online at www.mcclurefuneralhome.com. Shari Lynn Riech, 48 of New Berlin, passed away at 1:35pm on Saturday, August 20, 2016 at St. John’s Hospital in Springfield. She was born on December 30, 1967 in Taylorville, the daughter of Tommy Lee and Shirley Dian (Hendricks) Snow Sr. She graduated from Taylorville High School in 1986 and attended Brown’s Business College in Springfield. Shari worked as an administrative assistant in administration/academy for the Illinois State Police. 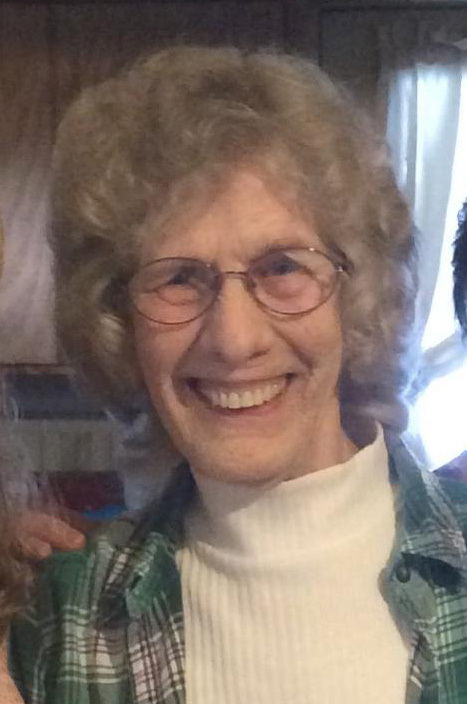 She loved gardening, animals, shopping, and spending time with her family. She is survived by her daughter: Hannah Nicole Riech of New Berlin; companion: Gary Fyke of Decatur, siblings: Tommy Lee (Angela) Snow Jr. of Nokomis, Robert Lee (Robin) Snow of Taylorville, and Stephanie Rena Snow of Nokomis; nieces and nephews: Amanda Snow, Amanda Hernandez, Brandon Snow, Kristal Price, Mikayla Snow, and Madisyn Snow. She was preceded in death by her parents, grandparents: Marjorie & Dwight Hendricks, and nephew: Tyler Snow. Donald Snider, 63 of Bingham passed away on Thursday, August 18, 2016 at 6:45 p.m. at his sister’s home in Vandalia. He was born on November 9, 1952 in Hillsboro, IL the Son of Clifford and Doris (Porter) Snider. He married Shirley Garrett on December 5, 1970 in Bingham. He worked as a Laborer for Local 1084. Surviving are his Wife: Shirley Snider of Bingham, IL; Sons: Phillip Snider of Bingham, IL; C.B. (Shawnna) Snider of Fredrick town, MO; Clinton “Chops” Snider of Bingham, IL; Grandchildren: Austin, Raegan, Colten and Dillon Snider; Brother: Clifford “Jack” (Julia) Snider of Bingham, IL; Sisters: Nancy (Floyd) Jay of Vandalia, IL; Hope Schulte of Vandalia, IL; Several Nieces, Nephews and Cousins. He was preceded in death by his Parents, Sisters: Jane Lynch, Ada Snider, and Brother Phillip Snider. Visitation will be held on Tuesday, August 23, 2016 from 1:00-2:00 p.m. at Allen & Sutton Funeral Home in Fillmore. Funeral Services will be held on Tuesday, August 23, 2016 at 2:00 p.m. at Allen & Sutton Funeral Home with Pastor Harry Kirk officiating. Burial will be in Shiloh Cemetery in Coffeen, IL. Carolyn E. Edwards, 90, of Taylorville passed away at 10:44AM, on Wednesday, August 17, 2016 in her home. She was born on February 10, 1926 in Greenville, Illinois, the daughter of Arno F. and Carrie Mae (Friedlein) Senn. She married Shirl B. Edwards on May 31, 1947 in Mayfield, Kentucky and he preceded her in death. Prior to staying home and raising her family, Carolyn had worked as a secretary at Baldor Manufacturing Company in Greenville. Carolyn was an active member in the Taylorville First Presbyterian Church where she served 2 terms as a deacon as well as many years on the Presbyterian Women’s Board. She is survived by her children: Sheri (Charles) Reith of Rochester, Jan (Terry) Wolf of Homer, Diane (Ray McGee) Edwards of Oakhurst, California, Edie (Bruce) Jones of Taylorville, Sandy (Jeff) Carl of Visalia, California, Steven (Marjorie) Edwards, of Wheaton; grandchildren: Erin Brown, Trent Wolf, Kim Todd, Morgan Watson, and Triston Carl; great grandchildren: Caleb, Andrew, Noah, and Logan. She was preceded in death by her parents, husband, 2 sisters and 2 brothers. A memorial service will be held at 11:00AM on Saturday, September 10, 2016 in the First Presbyterian Church in Taylorville with the Rev. Michael Evanchak officiating. Visitation will be held from 10:00AM until service time. Inurnment will be in Oak Hill Cemetery in Taylorville. Phillip Burdette Henning, 69, of Taylorville, passed away on Saturday, August 13, 2016 at 4:47 p.m. at his home in Taylorville. He was born on January 16, 1947 in Springfield, IL the son of Gilbert E. and Mildred (Rucker) Henning. He married Brenda Ahlberg on December 30, 1967 in Taylorville. Phil graduated from Macon High School in 1965. He was a Veteran of the United States Army, worked as a coal miner and foreman with Peabody Coal Company in Pawnee and retired from Illinois Department of Corrections in Taylorville. Phil was an accomplished guitarist and musician and avid bicyclist. He loved riding motorcycles (especially Harley-Davidsons), fishing, rooting for the Cubs and Nascar races. He was a recent member of VFW Veterans Memorial Home. His greatest legacy was serving the Lord; he never knew a stranger; and he always helped others. Surviving are his Wife: Brenda Henning of Taylorville, IL; Daughter: Tricia Henning of Decatur, IL; Brother-in-law: Jack (Connie) Ahlberg of Taylorville, IL; and Several Nieces and Nephews. He was preceded in death by his Parents and Brothers David G. Henning and Edward E. Sigafoose. A Private Family Memorial Service was held on Monday, August 15, 2016 at 2:00 p.m. at Sutton Memorial Home in Taylorville with Rev. W. Thomas Bellegante officiating. Private inurnment will be held at a later date. Memorials may be made to the Cancer Care Specialists of Illinois Charitable Fund, 210 W. McKinley Ave. Suite 1, Decatur, IL. Cindy A. DeClerck, 55, of Stonington passed away at 2:28am on Thursday, August 11, 2016 in Taylorville Memorial Hospital. She was born on September 2, 1960 in Taylorville, the daughter of Lloyd E and Helen Marie (Reynolds) Brauer. On June 16, 1979 she married Brad DeClerck in Stonington. Cindy worked as a bookkeeper for BlueSton Farms, was a member of the Stonington United Methodist Church, and was previously involved with the Taylorville Sports Boosters. Above all else, Cindy adored her 6 grandchildren and cherished every moment spent with them. She is survived by her husband: Brad DeClerck of Stonington; children: Matt DeClerck of Stonington, Lindsey (Billy) Voudrie of Moweaqua, Katie DeClerck of Taylorville, and Jake (Courtney) DeClerck of Kincaid; grandchildren: Tinsley Mae DeClerck, William Bradley Voudrie, Kaylee Marie Voudrie, Karly Jane Voudrie, Gunnar Jack DeClerck, and Gage Joseph DeClerck; brother: Bruce (Brenda) Brauer of Auburn, sister: Janice (Bobby) Rajchart of Kirkwood, MO; and several nieces and nephews. She was preceded in death by her parents; sister: Margo McCarty; father and mother-in-law: Jack & Anna DeClerck. Lucille M. Arthur; 89 of Taylorville, passed away on Thursday, August 11, 2016 at 8:35 p.m. at Taylorville Memorial Hospital in Taylorville. She was born on May 21, 1927 in Harvel, IL the daughter of Henry and Margaret (Giezelman) Zager. Lucille Graduated from Harvel High school in 1946 in the Class of eight Students. During her school years she played the clarinet and places second in a music competition in St. Louis Missouri. She married Joseph Warren Arthur on February 18, 1947 in Palmer, IL and he later preceded her in death on September 12, 1996. Lucille and Joe once lived on a cattle ranch in Idaho where she learned to drive on the bumpy dusty roads. Later they returned to Taylorville and she worked at Sangamon Paper Company retiring after 41 years, while there she completed a Dale Carnegie course. Lucille liked yard sales, antique shops, doing crafts and shopping with her daughter. She enjoyed crocheting and made many crocheted names for family and friends. She was a member of the Royal Neighbors of America Camp 506 in Taylorville and the Christian County Senior Citizens. Lucille had a genuine fondness for her senior citizen friends and entertained them with colorful outfits and floral hair bows. An avid card player and she even learned to play pool. Lucille will be sadly missed by her loving family, precious friends, and her beloved dog Tinkerbell. Surviving are her Daughter Jeannette (Michael) Miloncus of Taylorville, Granddaughters: Jeanine (Daryl) Garner of Taylorville, IL; Jill (Tim) Szabo of Newport, TN; Joy Beemen of Taylorville; Step-Grandchildren: Michael Lee Miloncus; Kathey Jo (Tim) Bruton both of North Carolina; Joseph M. (Tammy) Miloncus of Bullpit, IL; Great-Granddaughters: Cortney (Aaron) Sinnard; Kaitlyn (Charlie) Warren both of Taylorville, IL; Kelsey Ernest of Alton, IL; Step-Great-Grandchildren: Neil, Michalla, Maegan, Mikie Jr. Miloncus all of North Carolina. Great-Great-Grandson Waylon Scot Michael Warren of Taylorville; Sister: Bernadine Zager of Litchfield, IL; Sister-in-Law: Mary Ann (Arthur) Hash of Tacoma, WA. She was preceded in death by her Parents, Husband, and One Sister: Gertrude Zager-Wilton. Visitation will be on Monday, August 15, 2016 from 5:00-7:00 p.m. at Sutton Memorial Home in Taylorville. Funeral Service will be held on Tuesday, August 16, 2016 at 10:00 a.m. at Community of Christ Church in Taylorville with Pastor Norman Moses and Jerry Buster officiating. Burial will be in St. Raymond Cemetery in Raymond, IL. Sutton Memorial Home in Taylorville is assisting the family with arrangments. 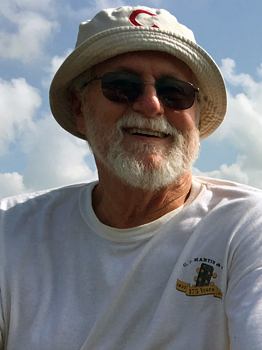 Kerby Dean Hogge of Chicago formerly of Taylorville passed away on Wednesday, August 3, 2016 at his home. He was born in Taylorville the son of Rayburn R. and Belvia (Dowdy) Hogge. He attended Morrisonville school later moving to Chicago where he worked at Rush Oak Park Hospital. Kerby will be sadly missed by his family, many good friends from Chicago and his beloved Dog Toby. Surviving are his Brothers: Jerry Hogge and Ray Wiseman both of Taylorville. Sisters: Catherine (Lee Don) Vaughn, Janice (Carl) Tucker, Marie Sheedy, Julitta (Ron) Harrison all of Taylorville; Gina (Dave) Carver of Sandy, Utah along with many Nieces, Nephews and Cousins. He was preceded in death by his parents, one brother Rick and one Sister Joyce Dishon. Graveside services will be held on Monday, August 15, 2016 at 11:00 a.m. at Anderson Cemetery in Palmer, IL with Father Valery Burusu officiating. Mindy Maureen (Schroyer) Linn, 47, of St. Charles, Missouri, formerly of Taylorville, Illinois, passed away at 7:00AM, on Thursday, August 4, 2016 while vacationing in Puerto Vallarta, Mexico with many of her closest friends. She will be remembered for her free spirit and love of life. She enjoyed live music concerts, travel and glamping, and was passionate about supporting many charities especially The American Heart Association as well as participating in the Alzheimer’s fundraising walks. She was born on March 13, 1969 in Taylorville, the daughter of Herbert W. and Eula B. (Buckles) Schroyer. Mindy graduated from Taylorville High School and worked for AT&T as a Voice Transformation Specialist. Mindy is survived by her siblings: Linda Schroyer, Michael (Becky) Schroyer, Pam Kavafis, all of Taylorville, and James (Jennifer) Schroyer of Springfield, Illinois; her companion Paul Cook and several nieces and nephews. She was preceded in death by her parents. A visitation will be held from 3PM until 5PM on Friday, August 12, 2016 at McClure Funeral Home in Taylorville. A funeral mass will be held at 10:30AM on Saturday at St. Mary’s Catholic Church in Taylorville with Msgr. David Lantz officiating. Burial will take place in Oak Hill Cemetery. Mr. John L. “Jack” Coady, 83, of Taylorville, IL passed away at 1:57 P.M. Monday, August 8, 2016 at St. Francis Hospital, Litchfield, IL. He was born in Taylorville, IL August 11, 1932 the son of Joseph and Agnella (Durbin) Coady. Jack graduated from Taylorville High School in 1950 and later earned an associate’s degree in printing. Mr. Coady married Rose Bialas, June 1, 1968 at St. Rita’s Catholic Church in Kincaid, IL. John was a salesman for Frye Williamson Press in Springfield, IL retiring after 35 years there. He was a member of St. Mary’s Catholic Church and the Knights Of Columbus Council #2120 both in Taylorville, IL. 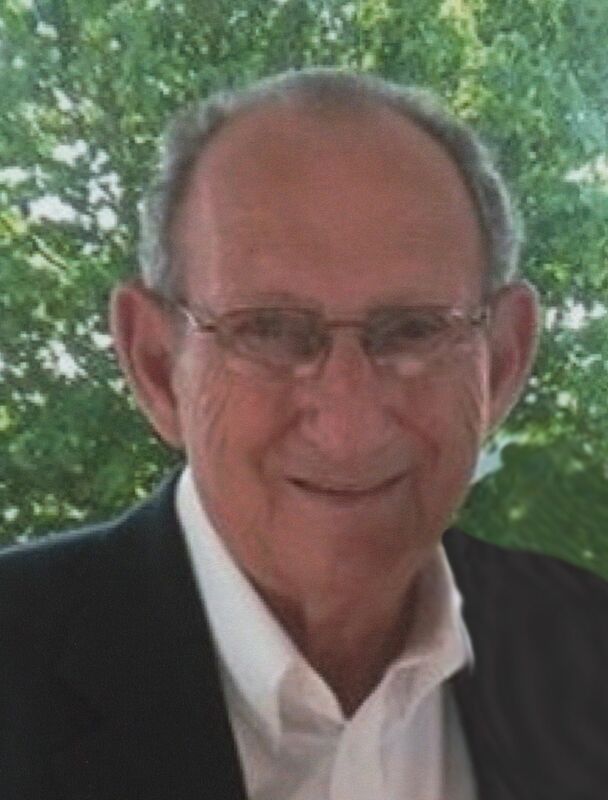 Jack as he was affectionately known enjoyed ballroom dancing and was an avid St. Louis Cardinals Fan. Surviving are his wife Rose Coady of Taylorville, IL 2 daughters Ann Kathleen Coady of Aurora, CO and Jennifer (Gary) Hunt of Fairview Heights, IL. Brother Eugene (Jeanette) Coady of Taylorville, IL sister-in-law Marsha Coady of Valier, IL and several nieces and nephews. He was preceded in death by his parents, and a brother James Coady. Funeral services will be held at 10:00 a.m. Friday, August 12, 2016 in St. Mary’s Catholic Church, Taylorville, IL. Monsignor David Lantz will officiate. Burial will follow in Oak Hill Cemetery, Taylorville, IL. Visitation for Mr. Coady will be held from 9 to 10 am Friday at the church. Masterson Funeral Home in Kincaid is handling arrangements. Carl Ray Taylor, 81 of Palmer passed away on Monday, August 8, 2016 at 12:30 p.m. at Life’s Journey Senior Living in Taylorville. He was born on December 6, 1934 in Brownstown, IL the Son of Leroy “Jack” and Arvilla (Holman) Taylor. He married Shirley Stanley Dohse on February 2, 1973 in Palmer. He worked at Caterpillar Tractor Company in Decatur for 35 years. Carl was the Mayor of Palmer for 12 years, an active member of the Independent Order of Odd Fellows fraternity for 34 years and served as an EMT. He was a fan and driver of stock car racing, enjoyed bull riding, fishing, traveling and all wildlife but especially hummingbird and eagle watching. He dedicated many hours to community service helping with the food pantry, the DARE program and many others. Being a country music fan made buying Johnny Cash a drink at Tootsies Orchid Lounge after a performance at the Grand Ole Opry in Nashville a particular highlight. Surviving are his Wife: Shirley Taylor of Palmer; Children: Cheryl Taylor of Pana; Tina (Mike) Spengler of Stonington; Jamie Dohse of Mattoon; Angela (Melvin) Galvin of Pana; Tori (John) Aulabaugh of Palmer; Eight Grandchildren; eight Great-Grandchildren; Brother: Donald Taylor of Decatur; Sister: Donna (Dave) Parks of Shumway. 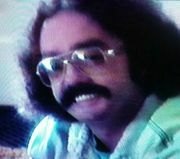 He was preceded in death by his Brother: Robert (Sandra) Taylor and sister: Jackie (Dave) Lutz of Beecher City. Visitation will be held on Wednesday, August 10, 2016 from 5:00-8:00 p.m. at Sutton Memorial Home in Taylorville, IL. Graveside services will be held on Thursday, August 11, 2016 at 10:00 a.m. at Anderson Cemetery in Palmer, IL with James Stanley officiating. Memorials may be made to the Alzheimer’s Association Greater Illinois Chapter 2309 W. White Oaks Drive, Suite E Springfield, IL 62704 Sutton Memorial Home in Taylorville is assisting the family with arrangements. 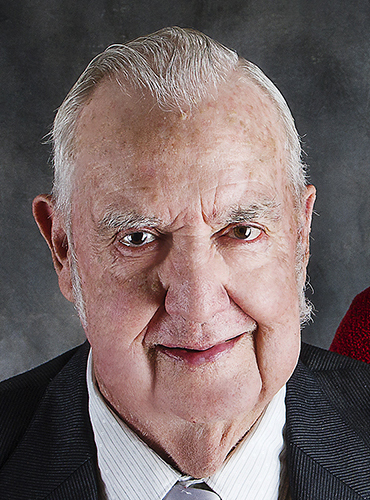 Louis Miller, 97 of Taylorville passed away on Saturday, August 6, 2016 at 4:14 p.m. at his home in Taylorville. He was born on July 2, 1919 in Pana, IL the Son of Jesse A. and Mary (Neisman) Miller. He married Alice Margaret Borgic in Pana, IL in October of 1948 and she later preceded him in death on January 31, 2014. He was a lifelong farmer and he served in the U.S. Army During WWII from 1941-1945. He was a member of VFW Post 4495 and St. Mary’s Catholic Church in Taylorville, IL. Louis also enjoyed golfing, fishing, bowling, and gardening. Surviving are his Sons: Ed (Theresa) Miller of Owaneco; Joe (Barb) Miller of Taylorville; John (Debbie) Miller of Harvel; Daughter: Marilyn (Larry) Morehead of Decatur; Eight Grandchildren; Two Great-Grand daughters and one Great Grandson. He is also survived by his two Sisters: Opal Tondello of Nokomis; Erma Tester of Taylorville, IL and Several Nieces, Nephews and Cousins. He was preceded in death by his Parents; Wife; Daughter, Patricia, one Grandson, one Great Granddaughter, Brothers and Sisters. Visitation will be held on Tuesday, August 9, 2016 from 5:00-7:00 p.m. at Sutton Memorial Home in Taylorville. Funeral Service will be on Wednesday, August 10, 2016 at 11:00 a.m. at Sutton Memorial Home in Taylorville with MSGR David S. Lantz officiating. Burial will be in St. Mary’s Catholic Cemetery in Assumption, IL. 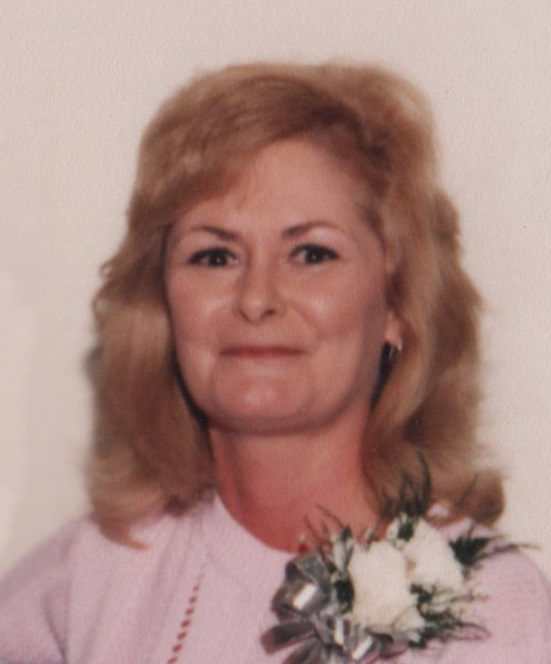 Sheryl J. Elmore, 68, of Taylorville, formerly of Springfield, died at 7:37 a.m., Saturday, August 6, 2016, at Taylorville Care Center. Sheryl was born on February 10, 1948 in Springfield, the daughter of Albert and Zennadda (Howarth) Cornwell. She married Robert G. Elmore on February 10, 1967 in Springfield, and he preceded her in death. Sheryl worked for the State of Illinois for many years as an administrative assistant. She was an avid Cubs fan for many years. She leaves behind her brothers: Jim (Vicki) Cornwell of Taylorville, and Dan (JoAnn) of Helmville, Montana, and several nieces, nephews, and cousins. Along with her husband Robert, Sheryl was preceded in death by her parents, and sister, Sandy Seelbach. A graveside memorial service will be held at 11AM on Saturday, August 13, 2016 at the Macoupin Creek Cemetery in Farmersville, with Rev. James Jones Officiating. McClure Funeral Home & Cremation Services is in charge of arrangements. Memories of Sheryl or condolences to her family may be sent online at www.mcclurefuneralhome.com. 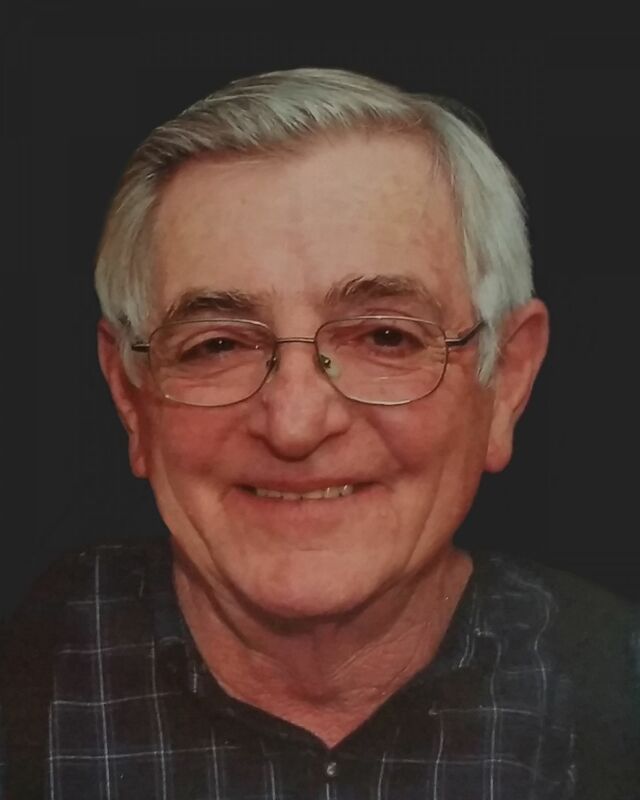 Ronald Lee “Ron” Hendricks, 77 of Taylorville passed away at 9:18am on Wednesday, August 3, 2016 at Memorial Medical Center in Springfield, surrounded by his family. He was born on December 1, 1938 in Taylorville, the son of Dwight and Marjorie (Ellrich) Hendricks. Ron attended Taylorville Schools and enlisted in the Navy when he was 17 years old. He served 2 years of active duty. He married his high school sweetheart, Ruth Ann Denning on January 2, 1958. They celebrated forty years of marriage. She passed away on May 2, 1998. He then married Sue Shasteen in 1999 and she survives. Along with his wife Sue, Ron is survived by his daughters: Rhonda (Butch) Fleming of Kincaid and Donna (Joe) Clark of Sullivan; son, Roy (Cindy) Hendricks of Taylorville; stepchildren: Michael (Lori) Shasteen and Robin (Kevin) Sesko of Sullivan; 4 grandchildren; 3 step grandchildren; and 3 great grandchildren; brother: David (Janet) Hendricks of Taylorville; and nieces and nephews. He was preceded in death by his parents; infant daughter, Rebecca; sister, Shirley Snow; and grandson, Ian Fleming. Ron Worked at PPG and retired from Peabody Coal Company after 28 years. After retiring he worked for Goeckner Car Washes. He loved camping, traveling, and spending time with his family. He was a member of UMWA Local #12. His biggest joy was taking his family on vacations. His last memorable adventure was going on an Honor Flight in August of 2015, and was accompanied by his daughter Donna. Funeral service will be held at 1:00 p.m., Saturday, August 6, 2016, at McClure Funeral Home, with Rev. Bill Kerns officiating. Visitation will be held one hour prior to services. Burial will take place in Oak Hill Cemetery. Memorial donations may be made to: Land of Lincoln Honor Flight or the American Cancer Society. McClure Funeral Home & Cremation Services is in charge of arrangements. Memories of Ron or condolences to his family may be sent online at www.mcclurefuneralhome.com. 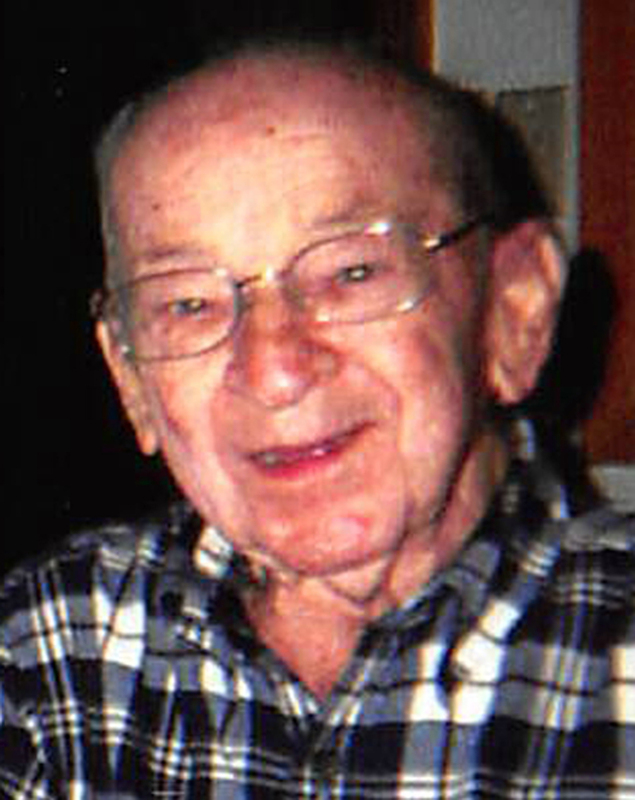 Relio John “Red” Cambruzzi, 99, of Taylorville, died at 7:42 a.m., Wednesday, August 3, 2016, at Taylorville Care Center. Red was born on August 27, 1916 in Kincaid, the son of Robert and Rosa (Dalpoas) Cambruzzi. He served his country proudly in the United States Navy during WWII aboard the USS Augusta. He married Mary Servi on September 25, 1949 in Taylorville, and she survives. Red was a member of the VFW Post 4495, the Knights of Columbus, and St. Mary’s Catholic Church where he served as an usher for many years. He was an avid fan of the St. Louis Cardinals. 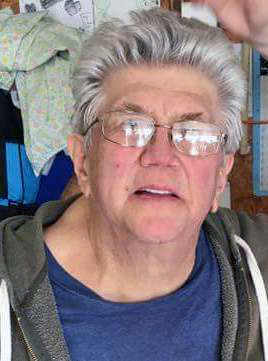 Along with Mary, his wife of almost 67 years, Red is survived by their son: Mike (Lorene) Cambruzzi of Taylorville; grandchildren: Jenelle (Myron) Stine of Dallas Center Iowa, Kris (Stacie) Hancock of Carlinville, Vincent (Kelsey) Cambruzzi of Lakeland Tennessee, Nikolas (Nicole) Cambruzzi of Olympia, Washington; great grandchildren: Hailie Hancock, Keira Stine, Addilyn Stine, Owen Hancock, Hollie Hancock, Dominic Hancock; sisters-in-law: Annetta (Sam) Calandro of Taylorville and Shirley Servi of Shelbyville, Kentucky; and several nieces and nephews. Red was preceded in death by his parents, his brothers: Guido Bucelluni and Bruce Cambruzzi, and sisters: Eda Ciotti, Katie Castelli and Albina Bartaloni. Funeral Mass will be held at 10:00 a.m. Saturday, August 6, at St Mary’s Catholic Church, with Msgr. David Lantz officiating. Visitation will be held Friday, from 5 – 7 p.m., at McClure Funeral Home. Burial with military honors will take place at a later date at Oak Hill Cemetery. Memorials may be made in his honor to: VFW Post 4495 in Taylorville. McClure Funeral Home & Cremation Services is in charge of arrangements. Memories of Red or condolences to his family may be sent online at www.mcclurefuneralhome.com. Robert B. Frey, 73, of Taylorville passed away suddenly at 2:00 pm on Wednesday, July 27, 2016 at his home. He was born in Litchfield IL on October 15, 1942, the son of Henry and Jessie Frey. He worked for Commonwealth Edison at the Kincaid generating station for over 30 years, retiring as operating foreman. Robert enthusiastically pursued and discussed his numerous hobbies and interests, including politics, fishing, automotive engine building, motorcycle restoration, raising chickens, beekeeping, and pond management. He possessed remarkable engineering abilities that enabled him to build, repair, and modify equipment and devices. He took particular pride in his 1970 Oldsmobile that he built with his children. Robert especially enjoyed his fishing trips to the Mississippi river with his sons and friends. Robert is survived by his wife of 52 years Jane Frey of Taylorville IL; children Joan (Vic) Arrington of Elk Grove Village IL, James (Teresa) Frey of Huntsville OH, Michael (Deborah) Frey of Taylorville IL, and Matthew (Dana) Frey of Cottage Grove MN; mother Jessie Frey of Alhambra IL; sister Gloria Frey of Alhambra IL; grandchildren Leah Rivard, Colin Arrington, Benjamin Frey, and Kara Frey; niece Kimberly (Donald) Knoche of Bloomington IL; and many cousins. He was preceded in death by his father; brother Charles (Karen, surviving) Frey; and niece Melissa Frey. Visitation will be held on Thursday, August 4, 2016 from 10:00-12:00 noon at Sutton Memorial Home in Taylorville. Funeral service will also be held on Thursday, August 4, 2016 at 12:00 Noon at Sutton Memorial Home in Taylorville with MSGR David L. Lantz officiating. Burial will be in Oak Hill Cemetery, Taylorville IL. Memorials may be made to the American Heart Association 3816 Paysphere Circle Chicago, IL 60674 or to the Alzheimer’s Association Greater Illinois Chapter 2309 W. White Oaks Dr. Suite E. Springfield, IL 62704.